It's here! Sarah Anderson's book is here! 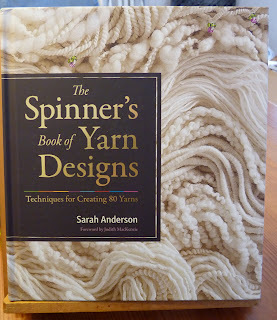 This must be the most beautiful book about yarns I've ever seen. Most yarns are different shades of white, or they have small accents of other colors. Still it's not a "colorless" book. The lay out is clear and interesting on the 256 stunning pages. The text seems to be a nice mixture of facts and personal thoughts. The are 64 reference cards with short instructions in the book. I like this a lot. You can take the cards with you when spinning away from your home or studio. There is a chapter about fiber preparation using flick carders, combs, carders and drum carders, blending colors, blending fibers, drafting techniques, plying. Sarah Anderson is an awesomely good spinner. You can see that in the beautiful photos. They mostly taken by John Polak who also did the extremely informative photo job on Fleece and Fiber Sourcebook (Deborah Robson and Carol Ekarius). 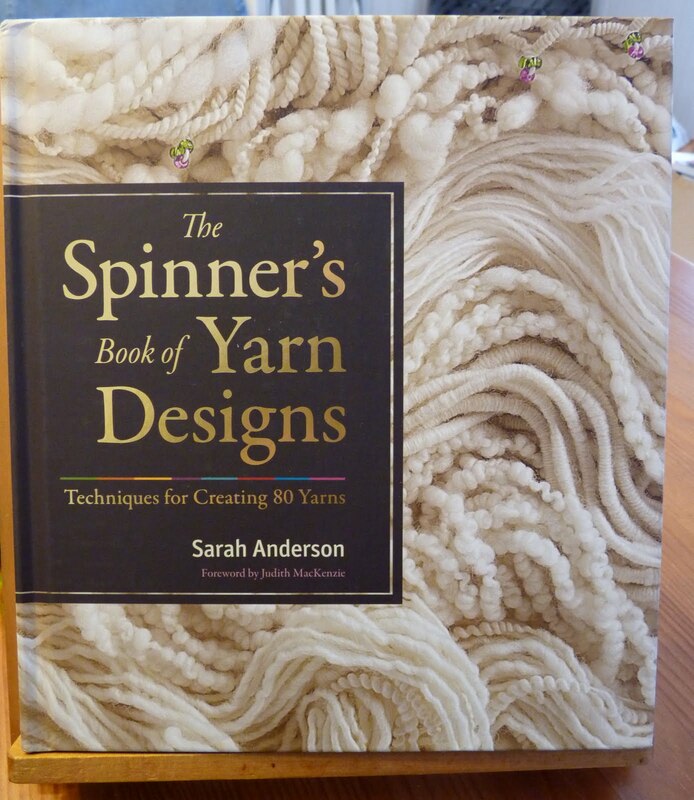 I haven't had time to use the book for learning a new spinning technique yet, but from what I've had time to read so far I will not have difficulties in understanding the theory. If I can't actually spin the yarn I want it can't be Sarah Anderson's fault. Oh, thanks for introducing this to me - it looks fabulous! Thanks for sharing , i think i must have it too. That will be the next one I get, too, I think! I just got this book and I love it! Definitely a great buy!